Happy Friday!!! 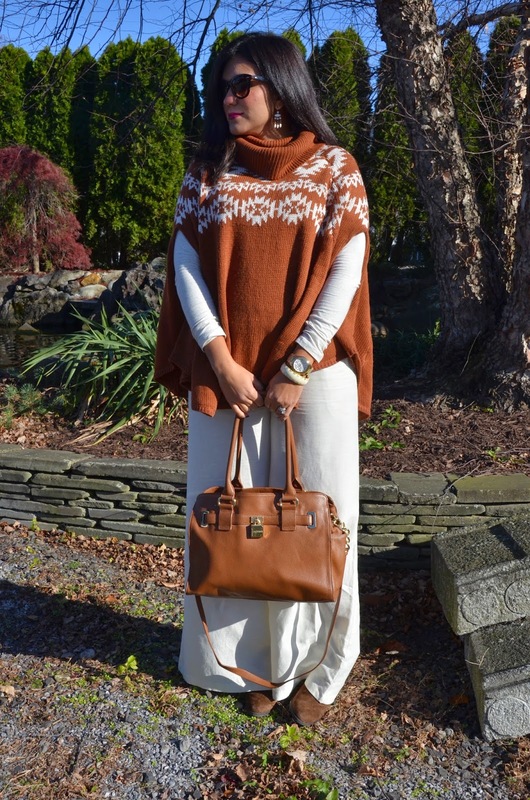 For today's fashion Friday post, I put together an outfit that is mostly winter neutrals with winter white...a creamy color that I just love (everything from my earrings and bracelet, to my shirt and pants). 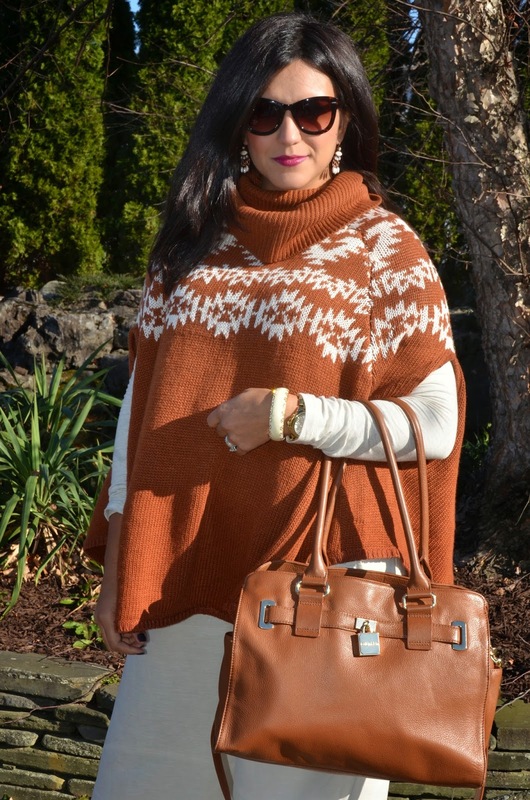 I found this poncho at Forever 21, and love how it has winter white in the pattern. 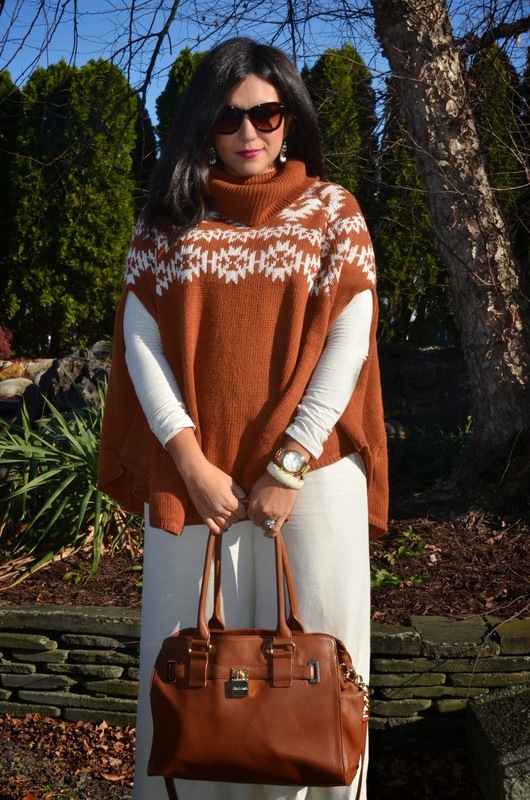 The brown then added just the right pop of color to the look, and I tied it all together with my bag and boots. 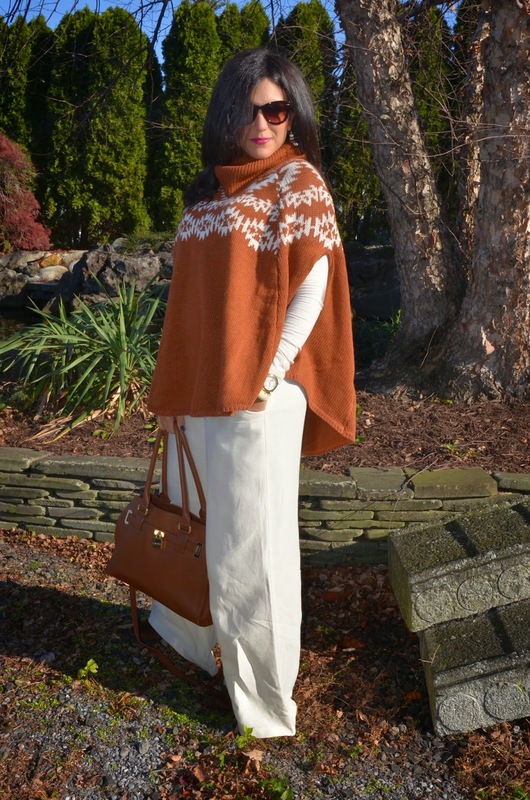 I'm usually more of a person who will chose black when it comes to clothing, but every time I try a brown, white or neutral look, I always say to myself that I should try it more. I'm looking forward to lots of color for the spring and summer, but sometimes it's nice to embrace the current season and show it off by way of fashion! What are your favorite colors to wear? Earrings: Purchased in Paris years ago!